BT has secured a contract with Northumbrian Water, the providers of reliable and sustainable water, to help deliver a Smart Water project across its North East operating area. BT is providing the low power network and data which will enable operational insights, allowing the water company to better understand how its water network performs using the Internet of Things (IoT). The Smart Water project aims to provide Northumbrian Water with a wide range of insights to allow the company to address issues such as water leakage, and enhance levels of water quality for its customers. The Smart Water project will be deployed over three distinct areas of Sunderland. Around 150 sensors will be installed across the network to capture data on a range of factors, including water flow, pressure and quality. By monitoring the performance of the water network, the project will equip Northumbrian Water with the operational insights needed to continue to provide an excellent customer experience. The data collected by the sensors will be connected to the BT’s LoRaWAN (Low Power, Long Range, Wide Area Network), which is designed to support long-life, battery powered IoT devices over a long distance. This makes it an ideal solution for monitoring performance across Northumbrian Water’s vast water network. BT’s IoT platform will be used to capture, process and visualise the data received from the sensors. The platform will help to provide Northumbrian Water with the data insights it needs to understand how the water network is functioning, so that it can take proactive steps to reduce water leakage, speed up operational processes and lower its total running and maintenance costs. Nigel Watson, Group Information Services Director for Northumbrian Water, said: “We’re delighted to be working with BT on this pilot project in Sunderland, which is just another example of how we apply innovation to our everyday work. It represents a real step forwards towards the Smart Water network of the future transforming the level of insight we have into our network’s operations and driving improvements for customers. Chris Sims, Managing Director, Strategy, Marketing and Digital at BT, said: “We are really excited to be deploying our IoT platform and LoRaWAN network to provide the connectivity and insight needed to deliver a truly integrated Smart Water network for Northumbrian Water. BT is dedicated to bringing innovative IoT solutions to market using its expertise in devices, connectivity and platforms. The Northumbrian Water Smart Water project is one of a number of recent IoT deployments by BT across the Smart Cities, utilities, transport, logistics and retail sectors. This entry was posted in IoT and tagged BT, IoT, LoRaWAN, Northumbrian Water, Smart Water Project, Snart Cities on March 8, 2019 by Tim Cosgrove. It mostly seemed to be a marketing slogan when a few years ago elites were talking about how IoT can concur in every corner of plant earth as it can basically be embedded in everyTHINGS.Nowadays we are not surprised if even strange THINGS are connected, but beers in pubs could have been the last one we thought of. But pioneers like Pubinno are among those who redefines how a business can operate by pushing into new frontiers. 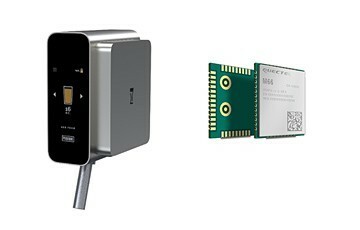 Quectel M66 is an ultra-small quad-band GSM/GPRS module using LCC castellation packaging on the market. It has the optimal performance in SMS & Data transmission and audio service even in harsh environment. The ultra-compact 15.8mm × 17.7mm × 2.3mm profile makes it a perfect platform for size sensitive applications. “Industrial 4.0 revolution is not a theoretical concept anymore. In fact, related products and services are being widely used in almost all industries and even penetrated into micro retailing, and as seen, food and beverages sector. This is indeed a turning point in human being history,”said Mr. Onur Canıtez, Quectel Regional Sales Director, Turkey & Middle East. Quectel owns a broad portfolio of cellular modules and will showcase the latest LPWA products at booth B.j40 of the upcoming European Utility Week (EUW) during 6-8 November in Vienna. 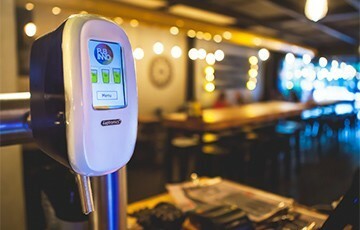 This entry was posted in IoT and tagged connected beer, connected pubs, IoT, Pubinno, Quectel M66, smart beer taps, smart tap on November 5, 2018 by Tim Cosgrove. U-Linc, a new Internet of Things (IoT) device protocol which has been developed at the University of Surrey’s 5G Innovation Centre, could dramatically improve the experience of staying at a hotel. One of the key challenges with smart home applications and similar smart device implementations, such as those which could be used in hotels, is that users typically need a different app for each type of technology – e.g. lighting, heating, security, etc., and this leads to a disjointed customer experience. 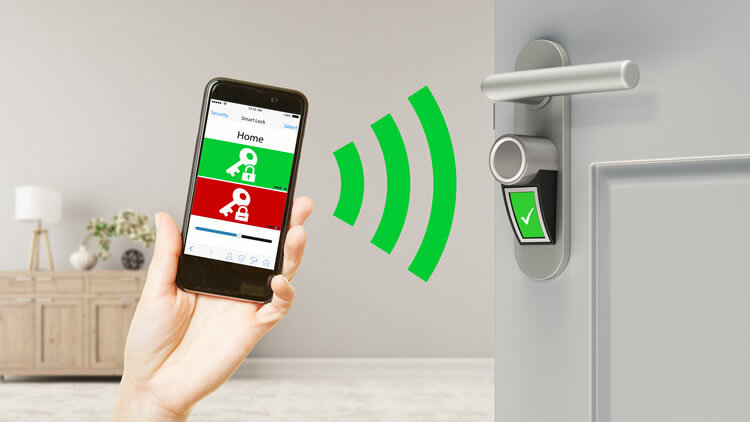 U-Linc, a next-generation protocol likened to Bluetooth, allows users to access and control numerous IoT devices from different manufacturers via one interface. When users decide to operate an IoT device via U-Linc, a branded interface is created for that device. Device manufacturers retain control over the customisation. U-Linc’s creators believe the protocol could have applications in a number of industries, including hospitality, potentially enabling hotels to offer unique experiences for each guest as well as the ability to better manage guest access to hotel rooms, areas and facilities. A number of hotel chains are eyeing the opportunities offered by the IoT. Late last year, Hilton announced its Connected Room concept, noting that the ‘mobile-centric hotel room’ idea was based on the fact that hotel guests have limited time in their rooms. The experience should be seamless and they don’t have time to learn a lot of new technology each time they check in. Marriott has also launched the IoT Guestroom Lab to explore the hotel room of the future, including responsive IoT systems to personalise the experience and streamline operations. SAS predicts that the IoT will be worth £81 billion in the UK alone by 2022. As new devices come onto the market and more areas of life become connected, the need for a user-friendly interface will increase. A protocol such as U-Linc could also have applications in retail, smart cities, industrial settings and connected cars. U-Linc can be used via a software licence or provided embedded within a chip. This entry was posted in IoT and tagged IoT, U-Linc, University of Surrey 5G Innovation Centre on September 12, 2018 by Tim Cosgrove. Internet of Things (IoT) by Deutsche Telekom supports smooth flight operations. Access road to central tank farm equipped with smart sensor technology. Networking of transport infrastructure is growing in importance. Düsseldorf Airport is one of the most important German hubs in international air traffic. In future, digital processes will play a role in successfully handling its more than 24 million passengers annually. Intact, reliable traffic routes and the construction infrastructure form the foundation of these processes. 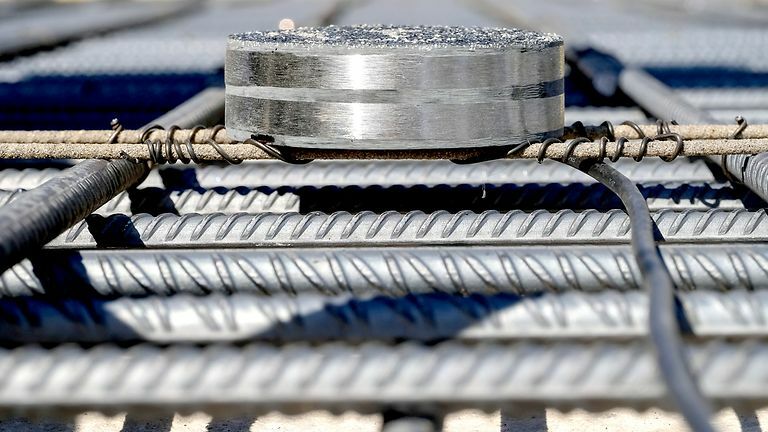 The airport has teamed with Deutsche Telekom and its partner BS2 Sicherheitssysteme to develop a digital monitoring solution for bridges, tunnels, buildings, and other infrastructure objects made of concrete. Other roads around the Düsseldorf Airport are also being equipped with sensors, step by step. The installed sensors have a lifetime of up to 70 years. They can be installed quickly and easily in new construction products or retrofitted in existing concrete structures. Another place where sensors from BS2 Sicherheitssysteme are being deployed is the Köln-Ost junction, where Germany’s Federal Highway Research Institute (BASt) is testing the sensors on their Cologne test grounds, together with Deutsche Telekom’s equipment and sensor network. BS2 Sicherheitssysteme was born in hub:raum, Deutsche Telekom’s startup incubator. Due to the special properties of the narrowband technology for the Internet of Things (Narrowband IoT), it is an enabler for the IoT. Deutsche Telekom is driving its expansion in Germany, Europe, and North America. This entry was posted in IoT on August 24, 2018 by Tim Cosgrove. Connecting assets, such as in-market cooler placement, is a cornerstone of The Coca-Cola System’s digital business enabling strategy. Coca-Cola HBC, with investment in a fleet of 1.6 million coolers in operation, is leading the way. 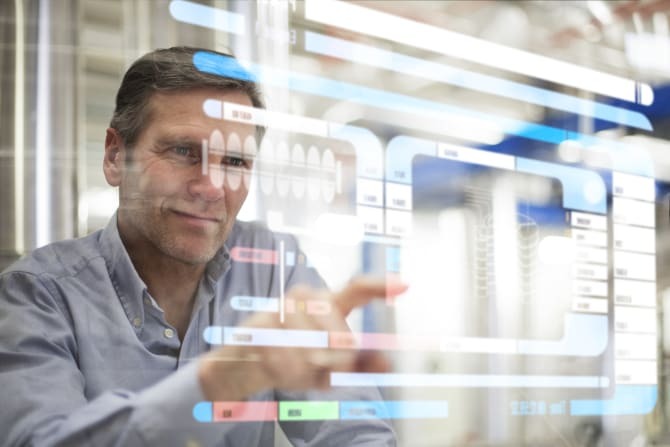 Coca-Cola HBC is partnering with Atos to rollout the Atos Codex Connected Cooler solution and will have the first 300,000 coolers connected by the end of 2018. 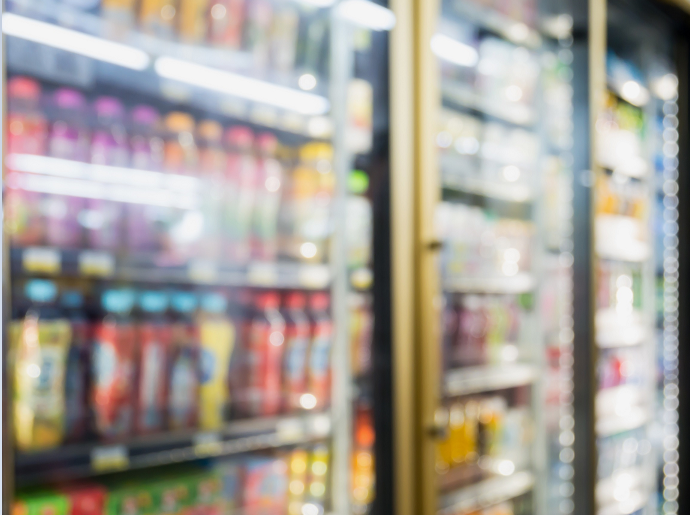 This solution will enable Coca-Cola HBC to access huge amounts of point of sale data, including: in store cooler placement and availability, temperature, stock-level, product placement, customer behavior and trends. This end-to-end solution will enable Coca-Cola HBC to connect, collect and manage data from connected coolers across the 28 countries where Coca-Cola Hellenic operates. Smart coolers also enable proximity interaction with the use of mobile apps, enabling Coca-Cola HBC to engage with customers in real-time. This provides an added value with customized offers and near-me promotions, turning digital engagement into increased product sales. Atos Codex Connected Cooler is an IoT solution. 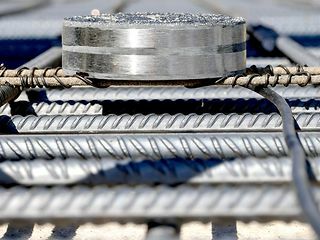 Using either existing cooler sensors or fitting new ones, the solution establishes secure network connections to a cloud-based IoT platform over which the data can be processed and analyzed. Atos is managing the entire project using Atos Codex IoT technologies and through long-lasting partnerships including those with Microsoft and the domain expert, eBest IoT. The Connected Cooler solution provides flexible, scalable, and secure end-to-end support. Atos has been working with Coca-Cola HBC for more than 15 years as a strategic IT partner in developing and managing its key IT solutions. Atos is a recognized leader in the IoT market and was recently named as a Leader by the global research and analyst firm NelsonHall in the 2017 NEAT analysis on Internet of Things (IoT) Services. This entry was posted in IoT and tagged Atos, Atos Codex, Coca-Cola HBC, Connected Cooler, IoT on July 12, 2018 by Tim Cosgrove. Vodafone today announced it is working with Sanku-Project Healthy Children (Sanku-PHC) to equip small flour mills in Africa with Internet of Things (IoT) services to provide fortified flour to millions of people. Two billion people around the world suffer from micronutrient malnutrition. Fortified flour battles against hidden hunger in developing countries, which includes pervasive issues of nutrition deficiency such as birth defects, child development issues, and blindness. Sanku-PHC is bringing real-time, data-driven insights to 3,000 small scale flour mills over the next four years, with Vodafone’s global IoT SIM and USB Connect technology helping to significantly scale the programme and improve its efficiency. Sanku-PHC has created a first-of-its-kind technology – the ‘dosifier’ – which enables small African flour mills in rural areas to fortify flour with key nutrients during the milling process, in a way that is sustainable and cost-effective. In the past, one Sanku worker could only monitor 25 mills, which would fortify flour to feed 125,000 people. Vodafone’s IoT SIM now connects the same worker to 100 mills, which will fortify flour for 500,000 people. The Sanku worker receives alerts remotely and in real-time when the mills run out of fortified flour or require maintenance. • Vodafone’s M-Pesa mobile money service is being used to enable millers to securely make and receive payments on their smartphones, further improving Sanku-PHC ability to scale. Vodafone and Sanku-PHC are rolling out Vodafone’s global IoT SIM and USB Connect technology to local flour mills in Tanzania and Rwanda, and will continue to implement the technology across Eastern and Southern Africa. This entry was posted in IoT and tagged M-Pesa, Sanku Project, Sanku-PHC, Vodafone IoT on June 20, 2018 by Tim Cosgrove. By integrating with GCP, Ayla will give companies a powerful new option for unlocking the value contained within their connected-device data. The Ayla IoT platform running on GCP is in beta testing with selected customers and expected to be generally available in Q4 2018. This entry was posted in IoT and tagged Ayla Networks, GCP, Google, IoT on June 18, 2018 by Tim Cosgrove.